The main component of most building materials in Malaysia is rock. All rocks are known to contain natural radionuclides such as 238U and 232Th series as well as 40K. In order to estimate the radiological impact to the dweller, the level of radionuclides present in various building materials available in Malaysia were analyzed using γ-spectrometry. The radiation hazard indexes were calculated based on the above results. 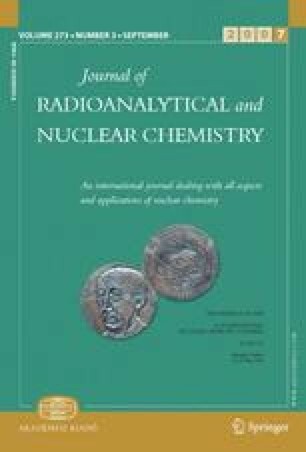 The results showed that the activity concentration of natural radionculides 238U, 232Th, 40K was between 19.0–42.2 Bq/kg, 16.5–28.8 Bq/kg and 243.3–614.2 Bq/kg, respectively. On the whole, the radionuclides concentration was still below the global average of 50 Bq/kg, 50 Bq/kg and 500 Bq/kg for 238U, 232Th, and 40K, respectively The radiation hazard indexes of the building materials were also lower than the maximum value suggested.